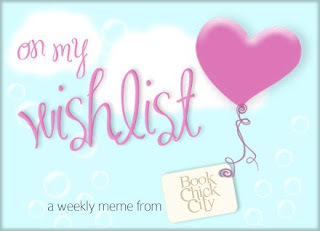 On My Wishlist is a bookish meme hosted by Book Chick City and runs every Saturday. It's where you list all the books you desperately want but haven't actually bought yet. "Seventeen-year-old Holly Mullen has felt lost and lonely ever since her boyfriend, Rob, died in a tragic accident. The fact that she has to spend most of her free time caring for her little sister and Alzheimer’s-stricken grandfather doesn’t help. But Holly has no idea that as she goes about her days, Rob’s ghost is watching over her. He isn’t happy when he sees his best friend, Jason, reach out to help Holly with her grandfather—but as a ghost, he can do nothing to stop it. Is his best friend really falling for his girlfriend? As Holly wonders whether to open her heart to Jason, the past comes back to haunt her. Her grandfather claims to be communicating with the ghost of Rob. Could the messages he has for Holly be real? And if so, how can the loved ones Rob left behind help his tortured soul make it to the other side? Told from the perspectives of Holly, Jason, and Rob, Wherever You Go is is a poignant story about making peace with the past, opening your heart to love, and finding the courage to move forward into the light." "Baby Frankie is born into an unusual family. Her mother is desperate to find someone to take care of her child and she doesn't have much time. Noel doesn't seem to be the most promising of fathers but despite everything, he could well be Frankie's best hope. As for Lisa, she is prepared to give up everything for the man she loves; surely he's going to love her back? And Moira is having none of it. She knows what's right, and has the power to change the course of Frankie's life ...but Moira is hiding secrets of her own. MINDING FRANKIE is a story about unconventional families, relationships which aren't quite what they seem, and the child at the heart of everyone's lives ..."
Don't forget to check the authors' website! Just click on their names. So, what do you have on your wishlist today? I love the cover of Minding Frankie. ;) and it sounds like a quirky read. I had heard of Wherever You Go, but I hadn't seen the summary. Thanks for sharing. The cover of Minding Frankie makes me want to read it. Gorgeous. I haven't read any of Mauve Binchy as of yet, but Wherever you Go looks good. These all sound like really interesting books! Minding Frankie looks good, definitely one for my wish list. Hawaiian history and culture is another interest of mine. So when I saw a review of this book pop up on Twitter, I had to click through and read it. The book sounds good. Come see which book I'm wishing for. 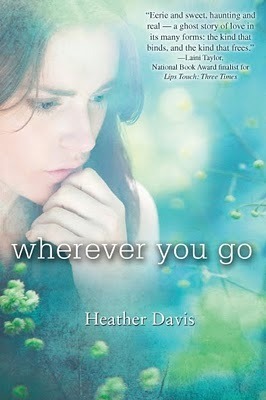 Wherever You Go looks like a book that'll require a box of Kleenex to go along with it, lol. I always cry when I read those. Maeve Binchy is always a winner - hope you get to read this soon! 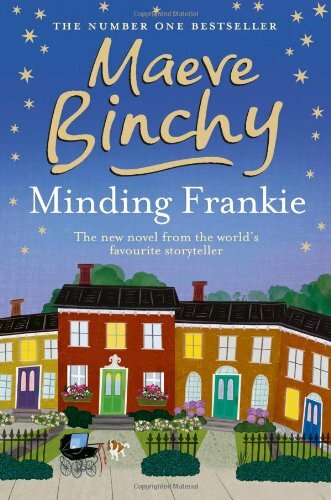 I haven't read a Maeve Binchy for a while--it's about time I fixed that! I'll have to add Minding Frankie to my list.